Manu Mogadali joined E3’s Asset Valuation team in 2017. His work includes synthesizing disparate market models to determine maximum value streams for potential investments, and using Plexos to assess the impacts of incremental utility participants in the Western Energy Imbalance Market. Manu was drawn to E3 by the prospect of working with some of the best minds in today’s increasingly complex energy industry. He is excited about the learning opportunities afforded by the breadth and depth of E3’s expertise. 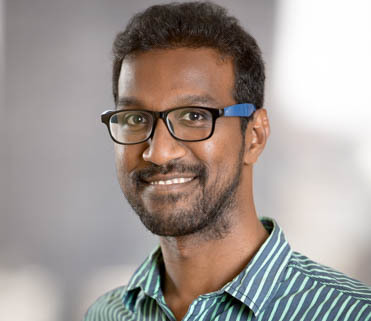 Before his graduate studies Manu designed LED lights for a start-up in India and worked as a field engineer on an offshore oil drilling platform in the Arabian Sea. Manu loves playing tennis, soccer, and cricket. He can speak in 5 languages and has visited 10 countries in just the last year. Education: MS, energy resources engineering, Stanford University; MTech and BTech, mechanical engineering, Indian Institute of Technology, Madras.